The first time you visit Islay is a magical experience, there is nowhere in the British Isles quite like it. I first visited in 2005, having fallen in love with a whisky called Caol Ila a couple of years before. I didn’t think I liked whisky, until the then landlord of my favourite pub, The Earl Grey in Leek, thrust a glass of Caol Ila in my hand. I nosed it, tasted it, and right there Islay introduced herself to me and it was a life changing moment. Little did I know that ten years later I would be the Distillery Manager of Caol Ila. There is nowhere quite like Islay not least because of the fact that there are no less than 8 working distilleries on this relatively small island. There is so much to see, from important historical sites such as Finlaggan to the beautiful, empty Atlantic beaches at Machir Bay and Saligo. The scenery is breathtaking and the wildlife abundant, you are more likely to see golden eagle and white tailed sea eagle here than anywhere else in the United Kingdom. Islay has become the eagle island. If you are a lover of seafood, there is plenty to wet the appetite on Islay. The local fishing fleet brings in crab, lobster and all kinds of shellfish on a daily basis, and there are always oysters available for those who wish to try them as fresh as possible straight from the brine. Why Join Us on an Islay Whisky Trip? Islay is the perfect base for any holiday. If you have a week or two to spare, and if you are intending to return again, then you can spend your week leisurely exploring the island, visiting distilleries, joining a tour or two, and sampling the local delicacies and drams. If on the other hand you want to pack as much in to your trip as possible, whatever your time constraints may be, to visit as many distilleries as possible and enjoy the very best of distillery tastings and experiences whilst seeing as much Islay as possible, we can host and plan your trip for you. If you join us on an Islay whisky trip, and take part in our Guided Islay Distilleries Experience your accommodation is a very comfortable, spacious, traditional Scottish sporting estate house with roaring fires and beautiful spaces to relax with a dram with friends in the evenings. The house is very well equipped and we ensure that it is packed with all the provisions that you need. On our most recent trip, guests enjoyed a seafood banquet, all freshly caught local shellfish, matched perfectly with Islay whiskies. Each of our Islay whisky tours is different. Many of our trips are bespoke to our clients requirements. Some of our guests like to relax in front of the fire after a busy day visiting distilleries, and we’ll enjoy dinner there. Other guests prefer to enjoy the hospitality of local pubs and restaurants, meeting the locals and enjoying traditional Islay music. Whichever you prefer, we can arrange it for you. We carefully plan your itinerary to ensure that you get the very best use of your time whilst on Islay. We try to fit in as many of the special distillery tours, warehouse experiences and tastings as possible on each Islay whisky tour. Each of the 8 distilleries has a visitor centre and each offer tours and experiences from a simple guided tour of the distillery to an in-depth masterclass with someone who works at the distillery. On a distillery tour you spend about an hour walking through a distillery with a very knowledgable tour guide. Your guide will show you how the whisky makes the very special journey from field to table. After the tour you will enjoy drams with your guide and then be able to ask any questions that you may have about the process and the whisky. We love warehouses, they are the most wonderful, atmospheric places. Each cask sleeping on an Islay warehouse is a piece of history. Each cask end has its own story to tell. Spending time in a traditional dunnage warehouse is an absolute treat, and when you are back at home enjoying a Islay dram, it is to these warehouses that you will be magically transported such an impact they have on your senses. Dunnage warehouses are often earthen floored, the atmosphere is damp and full of sea air, and whisky vapours from the casks of course, otherwise known as the angels share. 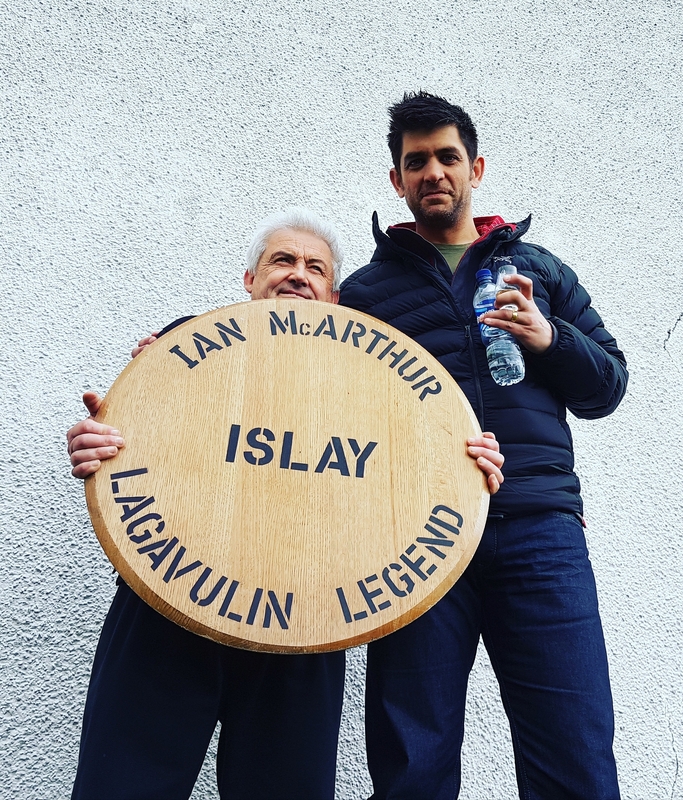 We like to take guests to Lagavulin where the legend of Lagavulin, Iain MacArthur is your host on the warehouse experience. 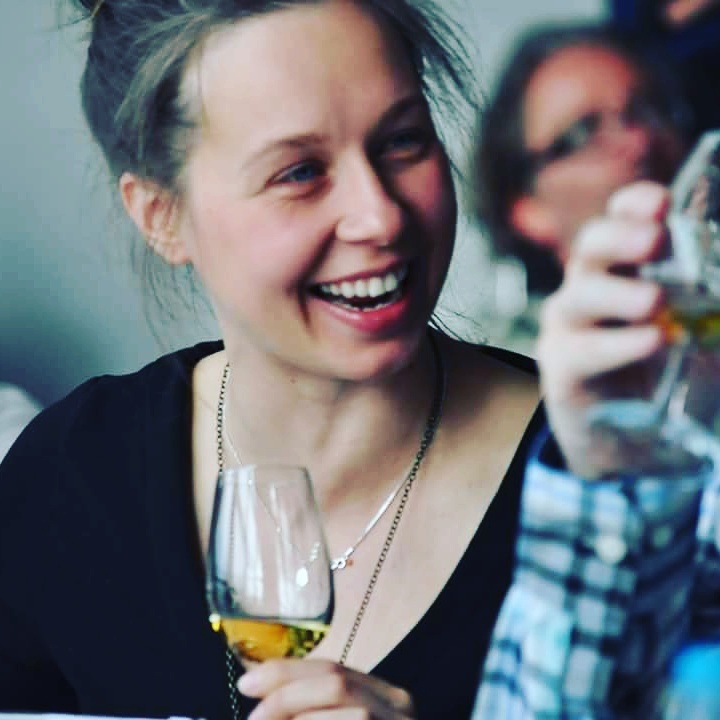 We also like to take guest to Bunnahabhain and Bruichladdich where similar wonderful experiences can be enjoyed, at Bunnahabhain guests also have the opportunity to fill their own bottles straight from the cask. In between visits to distilleries, I will be on hand to answer any questions that you might have about distilling on Islay and the whisky industry in general. Guests enjoy masterclasses where we taste rare single cask whiskies and distillery only bottlings from each of the distilleries. I’m often accompanied by my infamous wooden sample box containing rare delights from the past, and one or two cask strength drams. We arrange transport for our guests while they are on Islay. We work closely with a local coach company when designing each itinerary to ensure that your Islay whisky trip runs smoothly and that your time is used efficiently. All of the drivers are extremely friendly and knowledgable, some have even worked at Islay distilleries. I always accompany guests on the coach so that I can point out places of interest as we travel between distilleries and so that I can answer any questions that guests might have. We ask guests to make their own travel arrangements to Islay, whether by ferry or plane, and we then collect from the ferry terminal or Islay airport. It isn’t all about the whisky (although most of it is!). There are many other activities that we can arrange for our guests. As well as sightseeing, guests can enjoy bird watching, sea safaris, fishing, shooting and stalking. All of these can be included in your itinerary should you wish. Each of our bespoke Islay whisky tours is different and we can quote to include as many activities as you like. If you are interested in joining us for an Islay whisky trip of a lifetime on one of our Guided Islay Whisky Experiences please get in touch. We can answer all your questions about arranging your special trip to Islay. We can put together a suggested itinerary for you, just let us know the duration of the trip you require, how many guests will be in your party, any dates that you have in mind, and we will set to work! Call David on 07875 405 980 or send an email to david@distilledevents.co.uk for more information or to book a bespoke Guided Islay Distilleries Experience. We would love to host your very special trip on Islay, we hope to see you there soon. After a throughly enjoyable evening at the fisherman retreat on Friday night I would like some information about the Islay guided tours . Hi David, glad to hear you enjoyed it…I did too. Please let me have your email address and I will send some information over to you.